In this post, I’m going to share with you some super engaging ways to connect with your audience and promote your blog and content using Instagram. So here’s the deal. I’ve been using Instagram to promote my blog and online biz consistently now since 2015. I was a little skeptical at first to even entertain Instagram. Afterall, I didn’t really think that the platform could any way help me grow my online business. I mean, I always imagined Instagram to be a platform best suited for kids and celebrities. Then, I discovered that 70.7% of US businesses were using Instagram. Despite this, I really couldn’t be bothered to start learning how to use ‘yet another social media platform’. I already had enough on my plate with Facebook, Twitter, Linkedin, Pinterest, and YouTube. Moving forward to present times and Instagram is now my all-time favorite platform for sharing, promoting content and engaging with my audience on a whole new level. A level I never imagined possible! If you’re not familiar with Instagram at all and for whatever reason, it is the largest visual content-based social media platform available. Bloggers: why should you even concern yourself with Instagram? Bloggers, and businesses, I should say. According to this article on WordStream, 60% of Instagram users say they have learned about a product or service on the platform. Today, a staggering 86% of top brands have an Instagram account. (Source). So, with those statistics in mind, isn’t it time you considered leveraging Instagram in your blog and content marketing strategy? Of course, you don’t need to be a top brand name to make use of this platform. You just need some direction, right? OK. If you’re a blogger and you’re not yet using Instagram or don’t have a profile, then download the app right now on your smartphone and create one. That’s OK, don’t beat yourself blind about it. Even if you’re starting from flat zero. You can start to build your audience up slowly. Obviously, you can’t build an audience properly, or organically at least, without first posting some quality content, which we’ll cover shortly. In the meantime, though, here are some simple ways to start growing your Instagram followers for your blog. Connect your Instagram profile to your blog’s or brand’s Facebook page. Click here to learn how. Link to your profile from all your other social media profiles. Mention you’re on Instagram on your vlogs and Livestream sessions. Add your Instagram profile to your outgoing email signature. Do the same for your email marketing newsletters. Add your Instagram profile URL to your blog’s author box. Right, so are you ready to begin boosting the growth of your blog using one of the most active and engaging social network outlets in the world? Let’s start with your profile bio. You can’t afford to not make this the best you possibly can. Worst case scenario, you leave it completely blank! Don’t do that. Make sure you write a short but accurate bio telling users who you are, what you’re passionate about, and what you do. Also, make sure you add a nice call-to-action and a link to your blog or website. 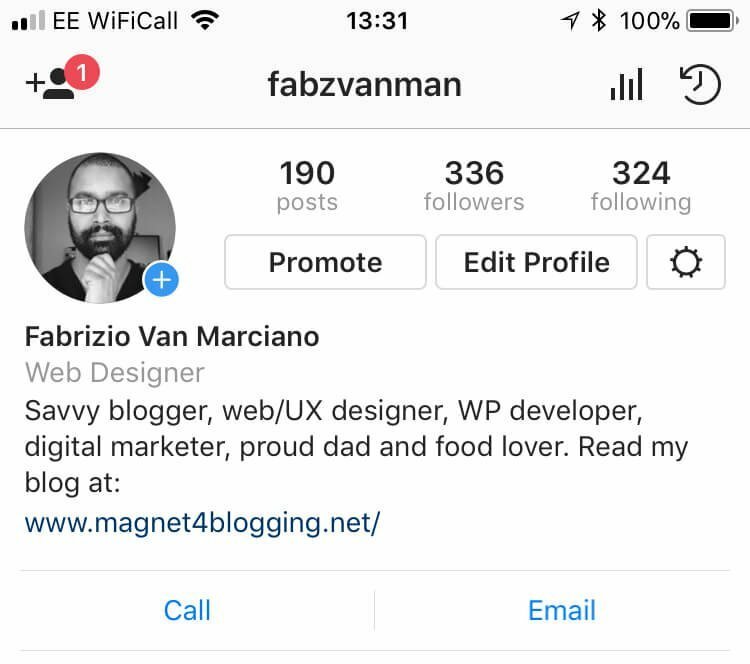 This is very important because you can’t add a clickable link anywhere else on your Instagram profile, not even your posts.See mine below. OK. So before you start adding photos and sharing videos on your Instagram profile, here’s a big tip! Think content quality and relevancy. If you’re trying to promote your blog and your content to a specific audience, start by making a list of all the types of Instagram posts you can create that’s related to your industry. In addition to keeping your content sharing aligned with your blog or online business, make sure whatever it is you’re sharing is high-quality stuff. By this I mean, always use beautiful photos, add cool filters or light effects in your photos, explore with text overlays, really get creative with it. A great way to share your latest blog post with your Instagram followers to drive traffic back to your blog is to screen capture your actual blog post using your smartphone. You can then edit it a little bit before posting it. Here’s an example below. There’s a great ‘Layout app‘ for Instagram that I like to use to add a featured image to my blog post screen capture. I recommend you use it too. If you’re going to implement this strategy for your blog posts, I’d also recommend adding a short descriptionand some appropriate hashtagsrelevant to the topic of your article. What I also like to do is add a call-to-action and tell people to click on the link in my bio to read the post. Since the link in my bio actually leads to my blog page in any case. Posting engaging and “Likable” content is one great way to get noticed and to grow your Instagram followers. Another very effective way is to actively ‘Like’ and ‘Comment’ on other content shared by users in your blogging niche. See if any of the bloggers you follow are actually on Instagram, then start following them. Do a search using ‘people’ or ‘tags’. Find content similar to your own and ‘Like’ and ‘Comment’ away to your heart’s content. Being transparent in blogging is one great way to build genuine trust. One of my favorite things to do on Instagram is to share some behind the scenes stuff with my audience. This could be a picture of myself writing a new post, recording a new video, or, simply a pic of my gear or office setup. Here’s an example. By being transparent and sharing behind the scenes stuff, you’re adding that all-important human element to your brand’s marketing and promotion that people can relate to and trust. A great photo can capture your audience’s imagination and tell your story. But why stop there? Why not experiment and use multiple photos to create an even bigger picture? Or, how about using some beautiful filters to enhance some of your images? If you take a look at some of the most creative brands on Instagram right now, you’ll notice that many of them love to have a unique theme or style. It’s what helps them to stand out from everyone else. If you’re thinking of getting creative with your Instagram posts, check out Pinterest here for some amazing theme and style inspiration. Even though photos generate 36% more engagement than videos, with Instagram, you can also create a 60-second video about almost anything. 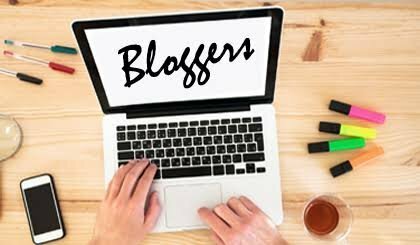 For promoting your blog, for instance, you might want to use video to quickly introduce a brand new blog post, or mention some key points of your article to tease your audience, and so on. You could also create a 60-second video to share even more ‘behind the scenes’ happenings with your followers. Or simply share a quick story. How about using the Hyperlaps app to create a time-lapsed video of you hard at work on your next big thing? Or simply use the 60 seconds you have to give some quick tips because providing value is what it’s all about, right? Just like videos, stories are great or sharing what is happening right now, or what you’re doing or working on. Did you know you could even convert one of your epic blog posts into a mini story or mini post to share on Instagram? Check out this amazing post on Social Media Examiner to learn how. Keep in mind, though, stories only stay for 24 hours, after that they disappear. This is great because the next day you could share a completely new story, right? #9. Let them know what’s coming! Are you working on something new and cool? Maybe you’re writing a brand new eBook or adding finishing touches to a hot new product or incentive offer? Or, maybe you’re about to launch a podcast or vlog. A great way to start creating excitement and hype about your new ‘thing’ on Instagram, whatever that might be, is to tease your audience. Let them know that something BIG is coming, take a photo of what you’re working on, create a custom banner poster with some cool text overlay, or create a teaser video even. Or, maybe you’ve got an event coming up, a Facebook Live Q&A Session or a webinar. Like any serious attempt to make social media work for your blog or business, you’ve got to be consistent. There’s no point in feeling all motivated in the very beginning and posting something every day, to only posting once a week a few weeks later. Great content+ Consistency = more content views and engagement = more followers = more clicks to your website. According to this infographic on Tailwind, actually posting more frequently increases engagement. 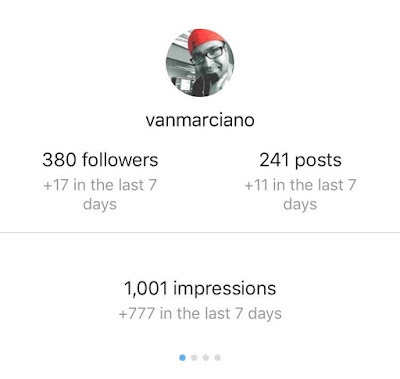 In a recent experiment, I decided to increase my activity on Instagram by posting twice a day instead of once, and what I saw was an increase in followers and website clicks by over 100%. A great way to be consistent with the content you share and promote on Instagram is to create a Social Media Content Planner. You can either create one using Google Docs or Excel. Or, check out my Blog Planner Workbook here. It includes a useful Social Media Content planner for Instagram. Lastly, regardless whether you’re sharing a great photo with a motivational quote, or sharing an inspiring and colorful photograph, or a video. Whatever you do just make sure you’re providing as much value as you can. Don’t just promote your content and be done with it. Over-deliver on the value. 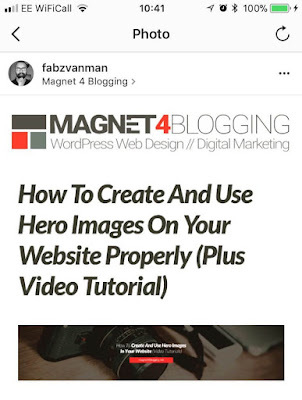 Instagram Feed Pro is one of my favorite WP plugins for adding customized responsive Instagram feeds to my website. If you look at the front page of my website, you’ll see I have a feed of my Instagram content. This is a great way to increase engagement, get more likes, and more followers. Check out my review ofInstagram Feed Pro here. How to Remove Background From any Image on Android Phones? GOM Player Plus 2.3.31.5290 + Patch is Here ! Google Coral with Snapdragon 855 appears on GeekBench, Pixel 4?